The Super Gas course is one of the school’s most popular programs for both experienced and beginning drivers alike. Compared to these cars, driving the fastest and most powerful passenger car on the planet is like driving a golf cart. Even if you have handled a Ferrari or Lamborghini, your first run in these dragsters will be absolutely astonishing. Unless you have catapulted off an aircraft carrier, nothing in your previous life will have prepared you for the experience. 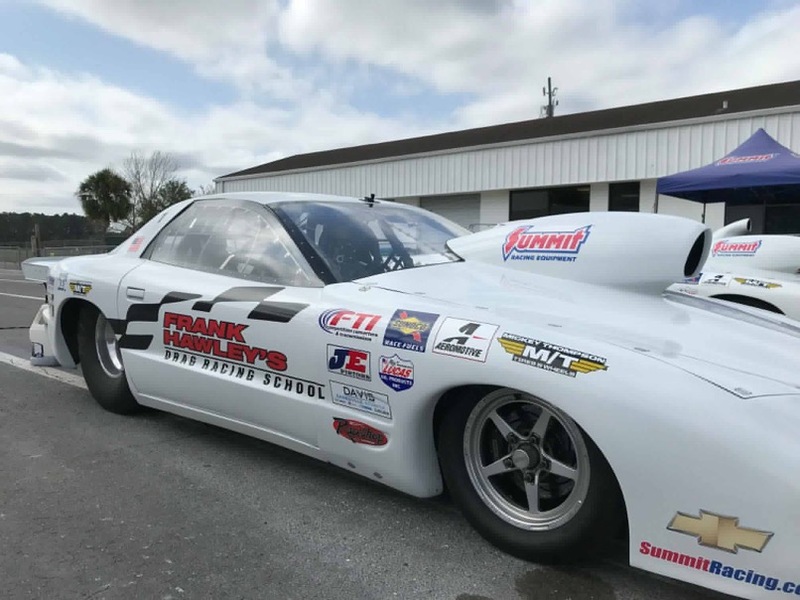 But through your training at Frank Hawley’s Drag Racing School you will learn how to keep complete control of yourself and the car — right to the limit of performance. Many of today’s professional drivers started with this class including John Force d rivers Robert Hight, Ashley, Brittany and Courtney Force. This course keeps a steady pace with plenty of action on and off the track. The privilege to race these dragsters at most race tracks across the country is limited to those holding a valid competition driver’s license. 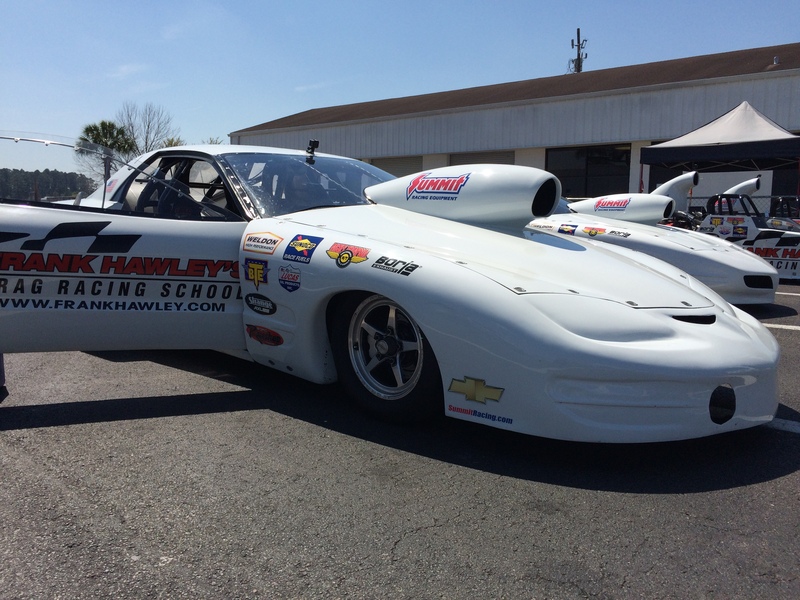 This course can provide you with an NHRA or IHRA competition driver’s license. Click here for more info on the Super Gas Cars.